St. Vitus Catholic School: Our Health is in Our Hands is a program we began with our students after exploring the letsmove.gov website. We are encouraging our students to take charge of their own health and to help others by reaching into our inner-city community. Under the direction of our pastor, Fr. Frank Almade, we are putting in a school and community organic garden. Our teachers, students, and families are pitching in to make our garden successful. On the site we found a link to salads2schools.org. Our fourth graders wrote a persuasive letter to our principal, Cathy Ryan, requesting that the school offer a salad bar at lunch and informing her of the website. The third and fourth graders also planted organic vegetable seeds in their classrooms to later transplant into our new garden. Included in our plantings are pickling cucumbers. We will be canning some pickles in the fall! Grade five held a Healthy Salsa contest. Each student found a recipe for making salsa. At home, with some help from their families, they made scrumptious recipes to enter in the contest. The teachers were the judges. Our sixth graders wrote a song encouraging people to eat more fruits and vegetables. They were also the choreographers for our flash mob dance. The dance demonstrated that being fit is fun. 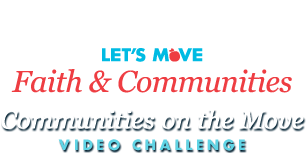 Students from grades four through six used the letsmove.gov site as well as other sites on the web to find kid friendly and healthy recipes. The recipes were entered in a contest. There were three winners. Also, after learning about the Choose My Plate guidelines the students played the Blast Off game found on the letsmove.gov site. They loved it and all got certificates. We all look forward to continuing our healthy lifestyle education. St. Vitus Catholic School: Our Health is in Our Hands! Good job St Vitus school. I am an SVS alumni too. Love our kids!!! You are all superstars! All those kids did great!! God bless every student and faculty member at St. Vitus ! This is very good. It's extremely important to teach our kids to keep a good healthy diet and lifestyle. Obesity is an epidemic, and it's great to see a Catholic school setting a trend to fix this problem.